If you're the proud owner of a large, X-large or giant breed, there are a range of big dog health problems that you need to be aware of. Although these big guys (and gals) tend to look strong and robust, and even as puppies they're often built like tanks, it's important to realize that they're still at risk for developing some very specific health issues. I've taken a closer look at some of the most common diseases/conditions belo. Although these problems are NOT entirely exclusive to large, extra-large or giant dog breeds, many of them are most often seen in these groups. Of course small breeds have their own unique health challenges (especially when you start to look at the tiny/teacup varieties) and those at the top or bottom of the size-scale seem to fare the worst. BUT don't panic! Having an owner who is aware of the risks, and knows what to do if problems do show up, gives your big 'un the best chance at living a long, happy and healthy life. You can use these quick links to jump straight to the section/category you're interested in, or simply scroll down to read the entire article. It's a fact of life that large and giant breed dogs tend to live for significantly fewer years than the medium to small breeds. For example, the average life expectancy for a Great Dane falls somewhere between 7 - 10 years, for a Rottweiler 9 years is about average. Compare this to smaller breeds who routinely live to be 12 - 15 years old and you can see the difference. That he gets adequate, and appropriate, exercise. This means not putting too much strain on growing bones/joints too early on. Gets good veterinary care throughout his lifetime. 'This includes getting appropriate vaccinations, keeping current with parasite prevention, ensuring good dental health and getting annual check-ups. Large and giant breeds can be much more fragile than they look! 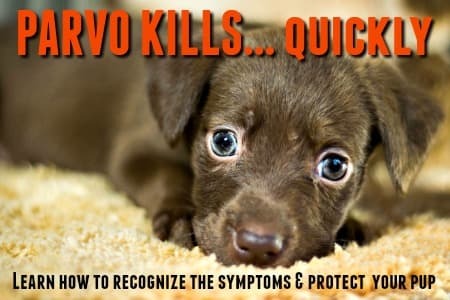 Some of them (including Rottweilers, Doberman Pinschers and 'bully breeds' such as Pitbulls) have immune systems that are especially vulnerable to the highly contagious and extremely dangerous Parvovirus. They can catch it very easily and react severely once infected. Vaccinating puppies against the most common, contagious dog diseases is important for their protection, but it's also important to be aware of the possible side effects from vaccines, and the dangers of OVER vaccination. Of course exercise is as important for your XL best friend as it is for you, but it's important not to overdo it, especially with large or giant breed puppies. This is because their bodies are growing at a phenomenal rate during the early months and bones, joints and ligaments can have trouble 'keeping up'. This can result in sprains, tears, dislocations and other orthopedic problems. 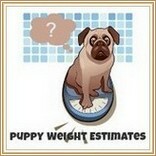 It's also important to keep large and extra-large breed puppies on the 'lean' side during this period. Excess pounds put additional strain on their growing frame and muscle structure and can also be the cause of joint damage. An overweight dog (regardless of breed size) is also at risk of heart problems, diabetes and other conditions in pretty much the same way humans are. Bigger isn't better, so never try to make your large-breed puppy grow bigger, or faster, than he is naturally inclined to do. It's a recipe for trouble! Now let's take a look at some of the more common health conditions that affect large, extra large and giant dog breeds. Big dogs can be surprisingly fragile when it comes to their skeletal frame! The extra size/weight, plus the rapid growth that our big dogs experience in the first year play a big role in this. These include Hip and Elbow Dysplasia, which are orthopedic conditions caused by malformed or 'poorly fitting' joints. This can be a genetic problem, or caused by poor diet, jumping from height, or by exercising a growing puppy too hard/too much. 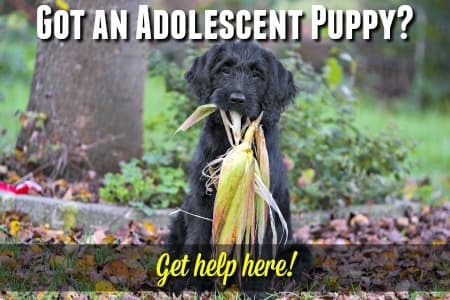 One of the best ways to make sure the puppy you choose is less likely to develop hip or elbow dysplasia is to make sure that you buy from a reputable, responsible breeder whose parent dogs (and preferably grand-parents and great-grandparents too) have an OFA certification of 'Good' or 'Excellent'. This will go a long way to eliminating dysplasia that has a genetic component,. Cruciate ligament damage (usually to the back leg in the 'knee' area) are fairly common. Can happen for no apparent reason, but uneven ground, turning abruptly, or falling can all cause it. Panosteitis(often called 'Pano') is a condition caused by inflammation in the growing joints of a young or adolescent pup. It causes lameness or limping. Hypertrophic Osteodystrophy (or HOD) causes swollen/painful joints (often the lower joint in the front legs), and can be triggered by several things including infection, improper diet, vaccine reactions and more. This condition can cause the joints to become malformed and your pup may 'knuckle-over' or his front legs may become bowed. A nutritionally balance diet can help to prevent many bone/joint problems. Canine Nupro Dietary Supplement is a totally holistic dietary supplement that contains vitamins, minerals, enzymes, amino acids, and essential fatty acids in natural raw forms. It is an excellent addition to your dogs nutritional program and is suitable (and beneficial) for all ages. 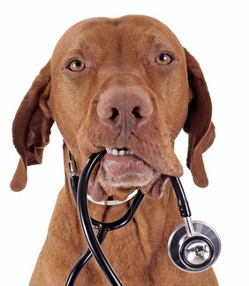 Several big dog health problems involve bones/joints and ligaments, and in older dogs this can lead to arthritis. Big dogs are especially at risk because of their growth patterns and weight, plus they tend to show arthritis symptoms earlier than their more moderately sized cousins. There are several things that contribute to, or accelerate, the onset of arthritic changes - in addition to the growth/weight factors I mentioned above. They include a genetic pre-disposition which can run through certain breeds and specific bloodlines within the same breed. Plus very early spaying/neutering, a diet that promotes too rapid growth, obesity or joint changes such as hip-dysplasia can be the 'trigger'. Although you can't prevent arthritis developing in later life, feeding a premium diet that is formulated for his breed type/size and keeping him 'lean' will definitely help slow down those changes. Large and giant breed dogs, especially the guardian and working breeds, tend to have a high tolerance for pain and the signs that they're in discomfort may be very subtle! Adding a joint supplement to your mature dog's daily diet may also work to safeguard those joints, products such as Veterinarian's Best Hip Joint Advanced, Joint Rescue Super Strength Chewable or Agile Joints Arthritis Support are all good choices. Gentle exercise, a memory foam and/or heated bed, carpeted floors or non-slip rugs/runners and elevated dog bowls can all make life more comfy for your arthritic pet. 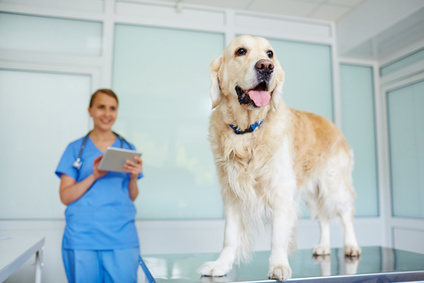 There are treatment options including medications such as Rimadyl or Derramax (by prescription from your veterinarian), or you can give him Aspirin (preferably one that is specially coated and formulated for dogs). Also known as Spondylolitheses, this is one of the big dog health problems which affects some extra large breed dogs, mainly Great Danes and Doberman Pinschers (although Bullmastiffs and St. Bernards, Rhodesian Ridgebacks and Borzois have been known to exhibit similar symptoms). It's also more common in males than in females. This syndrome is caused by a narrowing or malformation of the vertebrae in the dogs neck, which puts pressure on the rest of the spine. It usually appears in adolescent Great Danes, somewhere between 5 and 18 months of age, but usually shows up much later in Dobermans, at around 4 or 5 years of age. Symptoms are usually a 'wobbly' or unsteady gait, or weakness, lameness (normally in the back legs), the symptoms gradually get worse, and occasionally paralysis can occur. Treatment might include a neck brace, steroids or surgery, depending on the severity of the condition. There's a lot of strain on a big dog's heart... that large frame and weight needs a strong heart to support it. Some heart conditions in big dogs are genetic, others can be caused by illness, infection, even parasites. Age-related heart problems in dogs can occur (humans suffer from this issue too) in breeds of all sizes. Dogs don't have 'heart attacks' the way humans do, but heart conditions can still be very serious, and potentially fatal. This is a heart condition, and a dog with DCM has heart muscles that don't contract efficiently, causing arrhythmia (irregular heartbeats). It also means that the heart has to work extra-hard to pump blood around the body and this puts an immense strain it. Most commonly seen in extra large breed dogs, especially Great Danes, Irish Wolfhounds, Scottish Deerhounds, Doberman Pinschers, St Bernards and Newfoundlands. A dog can show no symptoms and die suddenly from this condition, although sometimes dogs show symptoms such as excessive panting, heavy breathing and are easily tired. 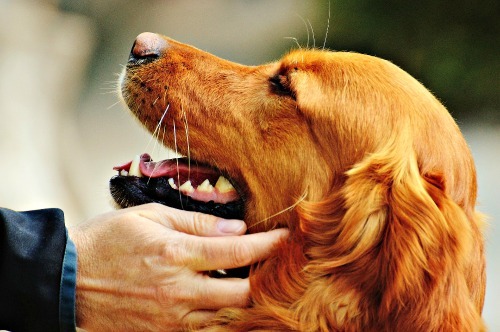 Severity of the condition varies, as does the treatment and prognosis for individual dogs. An echocardiogram, chest x-rays and an EKG can help diagnose this condition. There's a natural product that can help promote healthy cardiac function in your dog. It's called Young at Heart for Dog Heart Disease and it's a totally herbal formula, free of all chemicals. You can help your dogs' heart stay strong and healthy, and improve his overall vitality by adding Hearty Heart to his daily regimen. This is another heart condition that is more commonly seen in extra large or giant dog breeds. AS and SAS (Sub Aortic Stenosis) are caused by a narrowing of the aorta, which puts extra strain on the heart. Limiting exercise and stress in affected dogs can help reduce the risks associated with this condition, but it does vary in severity and can cause sudden death. These are internal parasites which are transmitted by mosquitoes, and can affect ANY dog, of any breed/size/age. Most heartworm infestations in dogs don't show symptoms until the condition is advanced, sometimes too late to be treated. Even if it's not too late, heartworm treatment is long, painful and expensive. 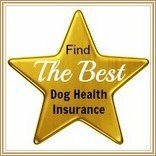 It's MUCH easier to prevent heartworm than to treat it. Giving your dog a monthly heartworm preventative is quick and easy, and could literally save his life. 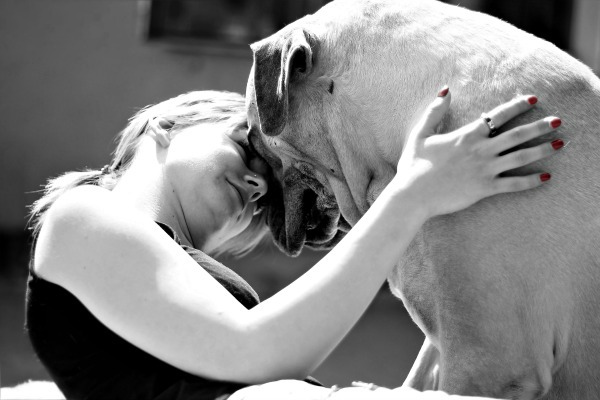 There are several other health conditions which occur in big dogs, but not necessarily exclusively. Dogs of any size/breed could potentially develop them too. This is a condition of the thyroid gland, where it produces too little of the hormone thyroxin. It's fairly common in some giant breed dogs and symptoms include unexplained weight gain, lethargy and skin conditions such as thinning hair, darkened skin, itching and so on. 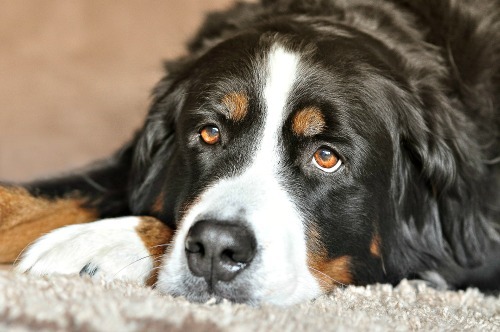 Hypothyroidism in dogs is usually treated with hormone supplementation. If you'd prefer to try the natural approach to your dogs thyroid problems, try Canine Thyro-up for Dog Hypothyroidism. This all-natural, herbal product contains no synthetic hormones, has no harmful side effects and is safe for long-term use. This is a very serious condition and is also known as Gastric Dilatation Volvulus (GDV). It's a condition that mostly affects large, deep-chested dog breeds including Great Danes, Greyhounds, Bullmastiffs, and St. Bernards (among others). Smaller dogs who have big/deep rib-cages are also at risk, Dachshunds are an example of these. It's a condition where the stomach fills suddenly with gas and twists into an unnatural position, basically cutting off the passages between the stomach and the esophagus and the stomach and the intestines. This is life-threatening and, unless recognized and treated quickly, is often fatal. a swollen or distended belly. If you notice any of these symptoms, get your dog to a veterinarian or emergency animal hospital IMMEDIATELY. Although they're by no means guaranteed to prevent bloat, using elevated dog bowls for your big guy's food and water can help minimize risks. This is because they make it easier for your dog to eat in a comfortable position and reduce the amount of air he swallows (a factor in triggering bloat). If you have a 'chow hound' who guzzles his food, a 'go-slow' or 'anti-gulp' type of dog bowl (such as the Healthy Diet Slow-Eating Anti-Gulping Dog Food Bowl) can also help. These are conditions affecting the eyes, to be more precise the eyelids and eyelashes. In Entropion, the eyelid rolls inwards and fur or eyelashes irritate the cornea, if left uncorrected it can cause infection/irritation and vision problems. It's more commonly seen in giant dog breeds such as Mastiffs, Great Pyrenees, Newfoundland, Bernese Mountain Dog, Great Dane and St. Bernard. Ectropion is not seen as often in the extra large breed dogs, but it can occur in the same breeds affected by Entropion. Ectropion is caused when the eyelid rolls outwards or droops. This can cause infection, inflammation, conjuctivitis and more. Both conditions can be corrected with a simple surgery, and Ectropion can sometimes be treated with eyedrops and other medications. Although this doesn't happen only in only large breeds, Cherry Eye is a problem that can affect all types of Mastiffs as well as Bloodhounds, Shar Peis, Saint Bernards and more. Cherry Eye happens when the gland in the third eyelid becomes inflamed and enlarged, causing a red, swollen lump to appear in the inner corner of your dogs eye. Although it's not a life-threatening condition, left untreated it can cause discomfort, pain, infection and potentially damage his eyesight. There are treatment options available, check out this page to learn more and to read about one of my dog Ivan's 'up-close-and-personal' experience with this condition. 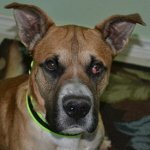 It's not possible to cover all the health issues that big dogs can experience, there are just too many variables and each breed has their own unique strengths and weaknesses. But I've touched on some of the most common ones and hope that the info. above will help you minimize the risks and also recognize potential trouble early on... when treatment is most effective. Good luck with your big guy or girl!